When it’s cold outside all you want to do is stay warm under your covers, put on a movie and have a snack. Unfortunately, the rats and mice in your area have the same idea and want to come join the party. Rodents cause a billion dollars in damage every year in North America. They can create countless problems for you and your home including your AC units, carpentry, insulation. They can also be the cause of water damage and can even lead to a house fire if they chew through your electrical wires. It’s hard to think these are only a few of the problems rodents can cause for homeowners. We want you to know how to avoid rodents altogether. Thanks to Chance Taywater from Truly Nolen we have some steps you can take to keep these animals out of your house! That way you can keep your focus on warm blankets and movies during cold Winter days, instead of worrying about little critters playing house in your home. Take a walk around your house looking for any holes or cracks. A mouse can get through a dime-sized hole and a rat can get through a quarter sized hole. Rodents are extremely flexible, so you have to be attentive when looking for entryways into your home. Properly check your garage. The gaskets on your garage may not be compressing the seal properly which will leave room for mice and rats to come in. The best way to test this is to turn off the lights in your garage and see how much sunlight is coming in. If you can see a lot of sunlight you may have a problem. Check for any feces on the countertops or floors. Rodents build up grease on their bodies, so look for any grease on the floor which can vary from light brown, brown or black grease that will attract dirt. This will can also show you the pathways they usually travel in your house. A water leak can actually be from a rodent chewing through a PVC pipe and not a roof leak. 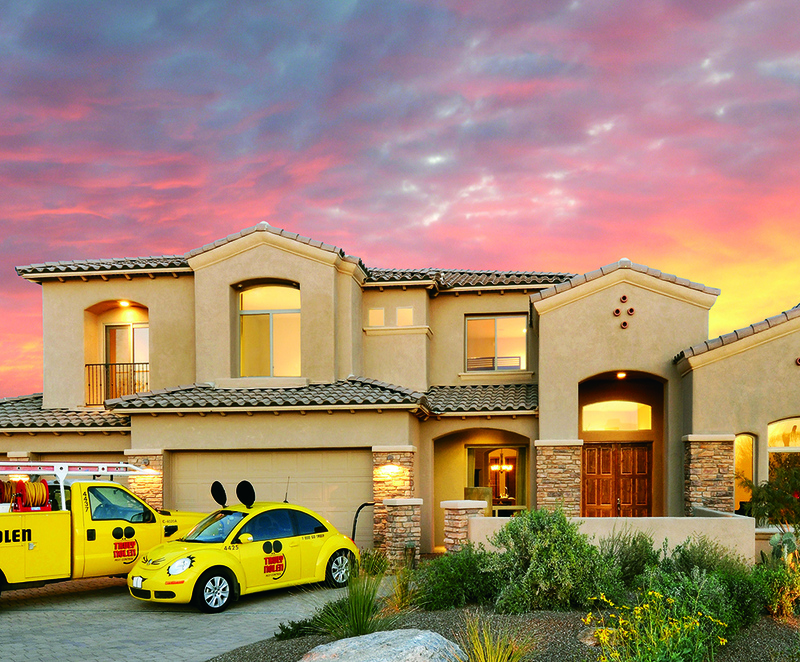 If you need to check out a possible rodent problem in your home call our friends at Truly Nolen! You can check them out on their website or give them a call at 210-651-1720!